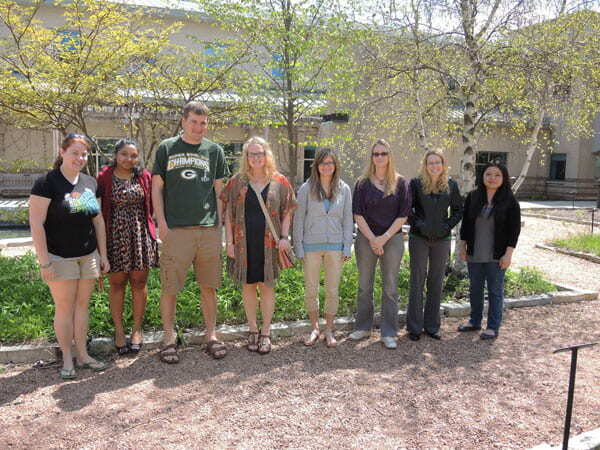 Eleven University of Wisconsin-Green Bay students have been selected to receive Cofrin or Land Trust student research grants for the 2013-2014 academic year. These grants provide unique opportunities for students to pursue faculty-guided research that contributes to the conservation and management of natural areas in Northeastern Wisconsin. The Cofrin grants are available for students conducting research on UW-Green Bay managed natural areas, including the Cofrin Memorial Arboretum, Kingfisher Farm, Peninsula Center Sanctuary, Point au Sable Nature Preserve, Toft Point Natural Area and the Wabikon Forest Dynamics Plot. These grants are made possible through a generous endowment from the family of Dr. David A. Cofrin and the late John Cofrin. The Land Trust Grant is funded by a donation by UW-Green Bay faculty members Michael Draney and Vicki Medland to encourage students to conduct research that contributes to areas managed by recognized land trusts, nonprofit organizations or state or federal agencies. 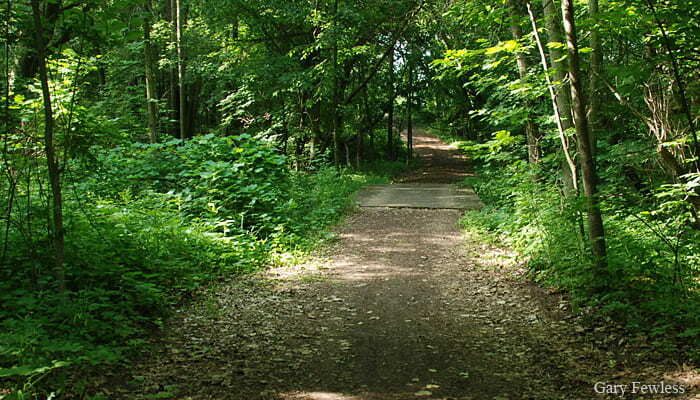 More information about the Cofrin Grants and UW-Green Bay natural areas is available at www.uwgb.edu/biodiversity. 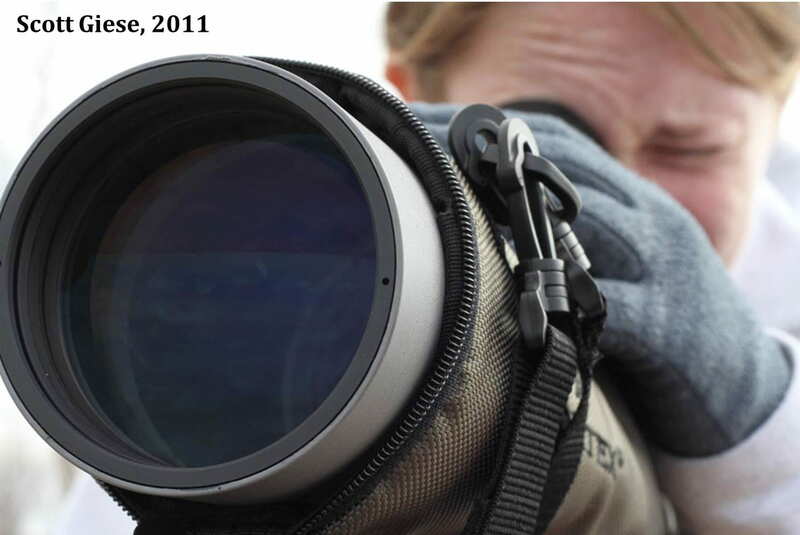 Photos and student updates will be available on the Cofrin Center for Biodiversity Facebook page, www.facebook.com/Cofrinbiodiversity. Tim Flood, Kenosha — An Environmental Science and Policy graduate student, Flood will examine the colonization of plant communities at the Cat Island Chain Restoration Project now under construction in the lower Bay of Green Bay. 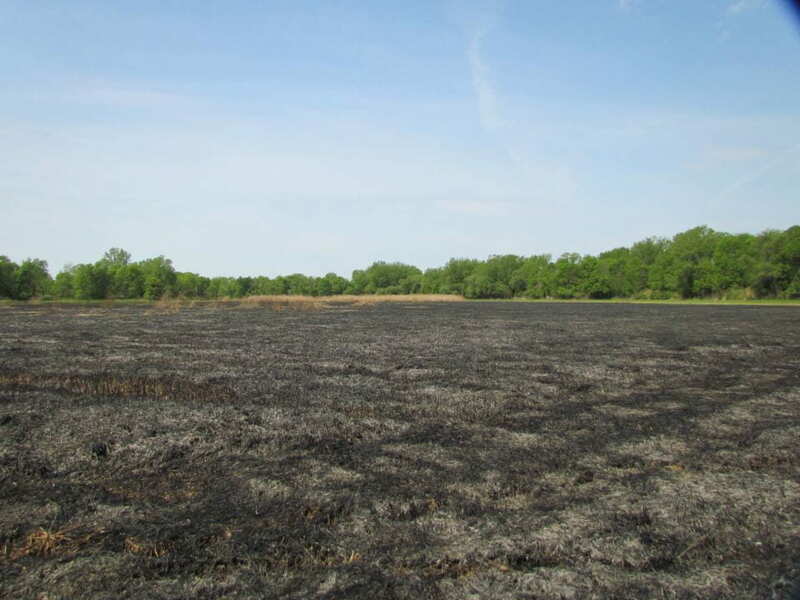 The island chain is expected to create protected habitats that should support high quality aquatic plants and provide habitat and forage for water birds, fish and other aquatic organisms. The project will provide insight into the current and expected success of the Cat Island Chain Restoration project. Flood will work under the guidance of adjunct faculty member Patrick Robinson. Amanda Johnson, McFarland — The importance of woodchucks as “ecological engineers” has been suggested for many years, but little documentation is available to support this claim. The UW-Green Bay campus and its Cofrin Arboretum are home to a healthy population of woodchucks, and Johnson, a senior, hopes to learn more about the importance of woodchucks and their burrows to other animals (including red fox, eastern cottontails and other mammals). Under the supervision of Prof. Robert Howe, she will mark and watch burrows with heat-sensitive cameras to capture activity by visitors and residents of old and new woodchuck burrows. 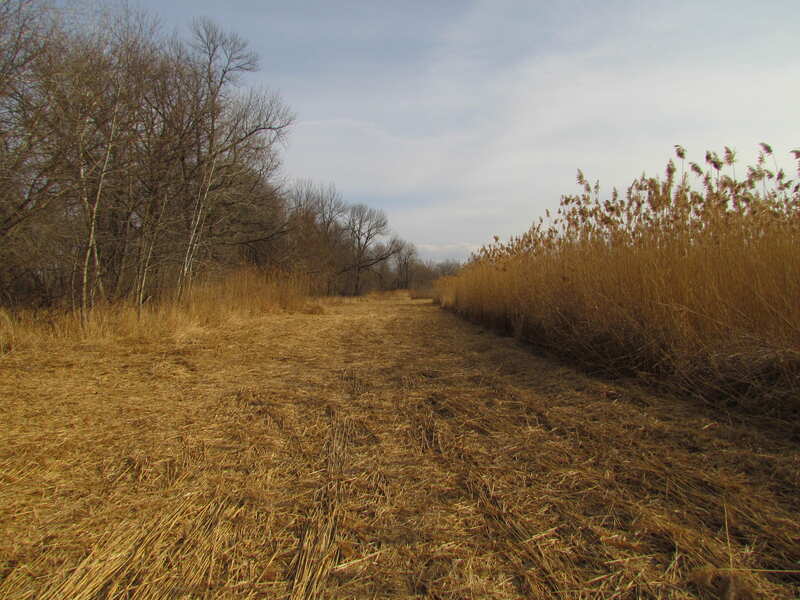 The study will provide insights into the importance of woodchuck burrows for maintaining local mammal diversity in semi-natural landscapes like that of the Cofrin Arboretum. Sravani Karnam, Nairobi, Kenya — Karnam was inspired to study aquatic systems after a presentation by Natural and Applied Sciences seminar speaker Carrie Kissman, an assistant professor of Biology at St. Norbert College who conducts research on trophic cascades in freshwater lakes. 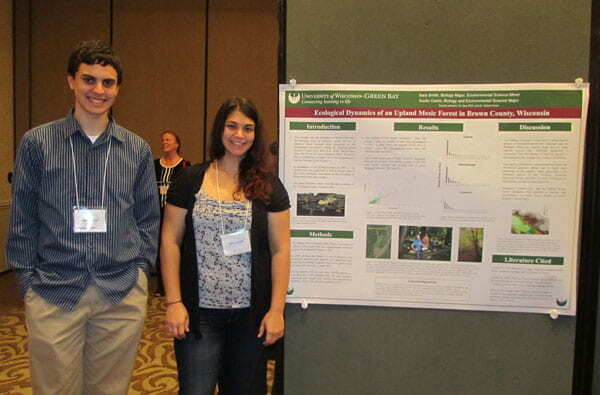 Karnam developed a proposal to model trophic dynamics in pond habitats on the Cofrin Arboretum. The primary objective of her study is to understand the trophic organization in the ponds by evaluating the density and composition of phytoplankton and zooplankton at different times of the year. She will use the results to create models of trophic interactions that predict the nutrient conditions and roles of higher-level predators in these systems. Karnam will work under the supervision of Associate Profs. Amy Wolf and Atife Caglar, with assistance from Kissman and Medland. Jessica Kempke, Green Bay — Graduate student Kempke will be conducting a study of bat migration patterns along the Lake Michigan coast in northeastern Wisconsin using ultrasound recorders or “bat detectors.” These devices record the high-frequency calls of bats, which can be identified in many cases to species. Kempke will compare bat diversity and abundance along the coastline with paired sites 3-5 kilometers inland. Her study will contribute to the knowledge of the distribution of bat species as well as trends in migration and habitat use. Kempke’s project is a collaborative effort with U.S. Fish and Wildlife Service biologists and is part of her graduate research at UW-Green Bay, under the supervision of faculty members Wolf and Howe. Brianna Kupsky, Green Bay — A UW-Green Bay senior, Kupsky also will conduct research on bats, collecting data at several UW-Green Bay natural areas. This research is a continuation of a study she began last year with the help of a Cofrin Research grant. 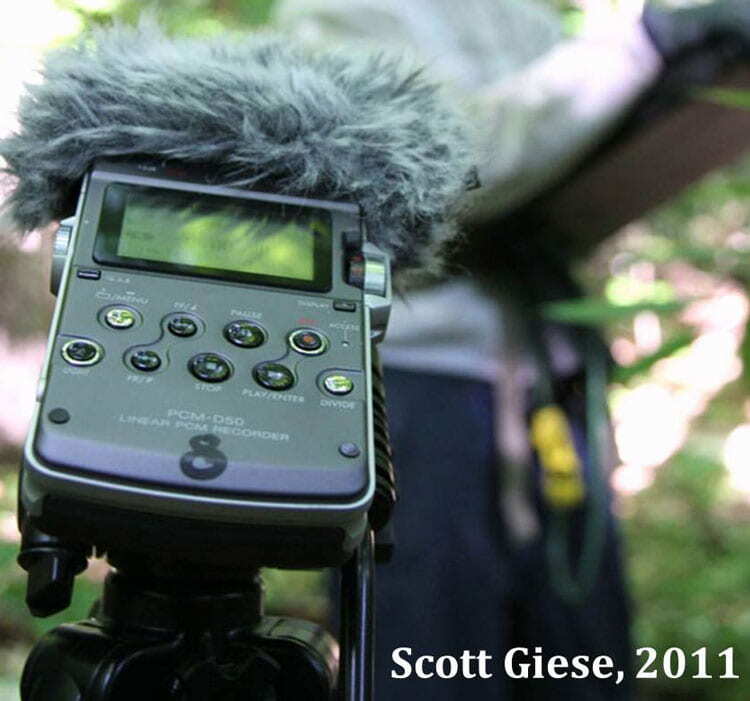 The purpose of Kupsky’s project will be to develop and implement a systematic monitoring program of migratory and resident bat populations at the UW-Green Bay managed natural areas. This information will continue to create a baseline for future studies and will help verify the composition of resident and migratory bat assemblages at these areas. Kupsky is working under the guidance of Prof. Howe. Christa Meyer, Medford — Meyer, a senior, already has collected detailed information about a family of red foxes living in the Cofrin Arboretum. Her proposal aims to document the behavior of the adult foxes and their pups during the course of the summer. She also hopes to document the interspecific interactions between the foxes and other animals that occur in the Cofrin Arboretum and UW-Green Bay campus. Christa is working with Howe as an outgrowth of an independent study project during spring 2013. Amanda Nothem, Campbellsport — Education major Nothem, under the guidance of Associate Prof. Scott Ashmann, will create hands-on K-12 curricula for teacher-guided field trips to UW-Green Bay’s Cofrin Arboretum. The curricula, aimed at educators at different grade levels, will include pre- and post-assessments, handouts, data collection sheets, data analysis sheets and reflection/discussion questions for water and atmospheric testing in the Cofrin Arboretum. Equipment purchased with the grant will be available for teachers to check out from the Education Department. Tom Prestby, Wauwatosa — Graduate student Prestby will be surveying migratory shorebirds in the coastal zone of lower Green Bay, Lake Michigan. His study will document shorebirds and provide maps of potential shorebird stopover habitat in the lower Green Bay coastal zone. 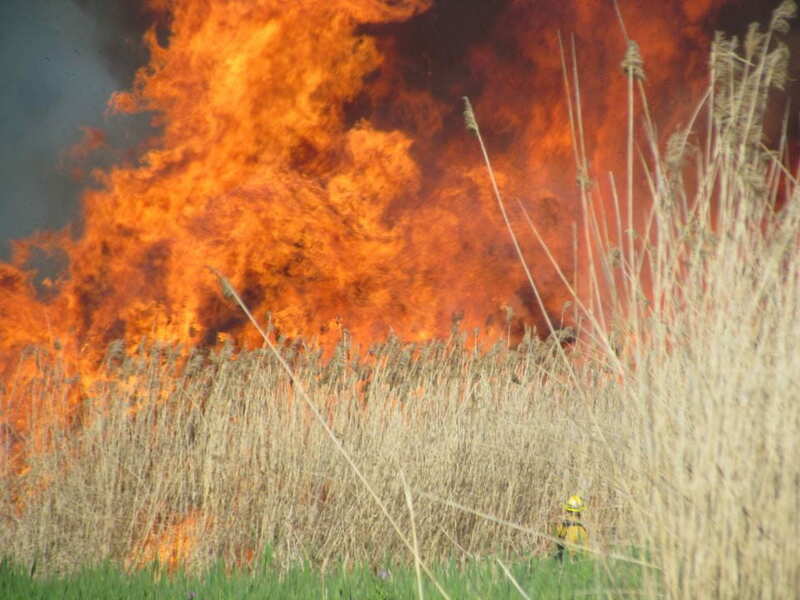 Under the guidance of Howe and Wolf, he will use field data to estimate the extent and variability of habitat for migrating shorebirds in lower Green Bay. Mary Quade, Green Bay — Mosses are the second most abundant group of land plants on Earth. Senior Mary Quade will be documenting moss abundance and biodiversity at the Wabikon Lake Forest Plot under the guidance of Associate Prof. Wolf. 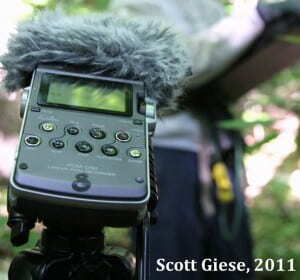 She will document moss community associations and the size and species of trees used by different moss species. Quade’s results will be important for longitudinal studies looking at the effect of climate change on diversity and abundance of mosses, as well as the potential role of mosses as indicators of environmental quality. 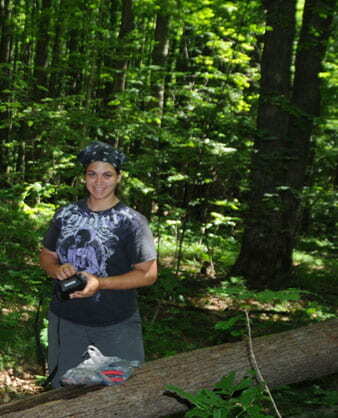 Haley Sharpe, Green Bay — An undergraduate, Sharpe will look at the dispersal of tree fungi by woodpeckers. Her project proposes to collect fungal swabs from the beaks of woodpeckers that are captured and banded at the Point au Sable Nature Preserve. Samples from the birds will be grown in the lab and tree fungi identified. 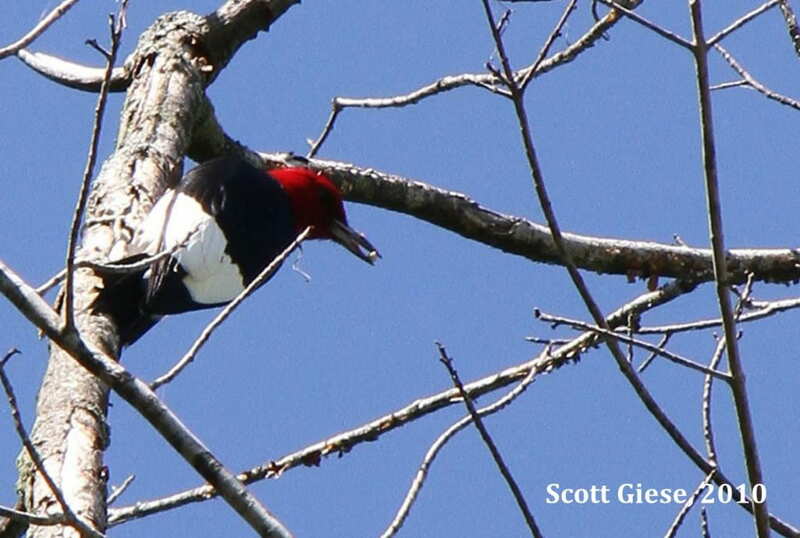 This study will help determine the importance of woodpeckers as vectors of fungi between dead and decaying trees. Sharpe will be working under the guidance of faculty members Howe and Wolf. Linda Vang, Green Bay — Myrmecochory is seed dispersal by ants, and the plants that rely on dispersal by these insects often produce seeds that have an attractive, nutritious structure called an elaiosome. Ants collect the seeds and feed the elaiosomes to their larvae, then discard the seeds outside of their nests. Vang, working with Wolf, will conduct an experimental study to determine the importance of ants in dispersing seeds of wildflowers in the Cofrin Arboretum. Vang, a senior, will identify which ant species disperse seeds and how quickly the seeds are discovered and removed by ants. Examples of animal gigantism, especially on islands, have long been recognized. Consider, for example, the Madagascar Hissing Cockroach, which is much larger than African mainland roaches. However, it was not until 1964 that a young biologist named J. Bristol Foster published a paper in Nature entitled “Evolution of Mammals on Islands” that explained the phenomena that is now referred to as Island or Insular Gigantism. Foster compared the sizes of island animals and their mainland relatives and surmised that islands contain fewer species than nearby mainland habitats and therefore will have fewer numbers of both predators and competitors. Under such conditions he argued, animals can grow to larger sizes. It is interesting that almost all examples of this evolutionary phenomenon are almost exclusively restricted to islands or other highly isolated habitats. 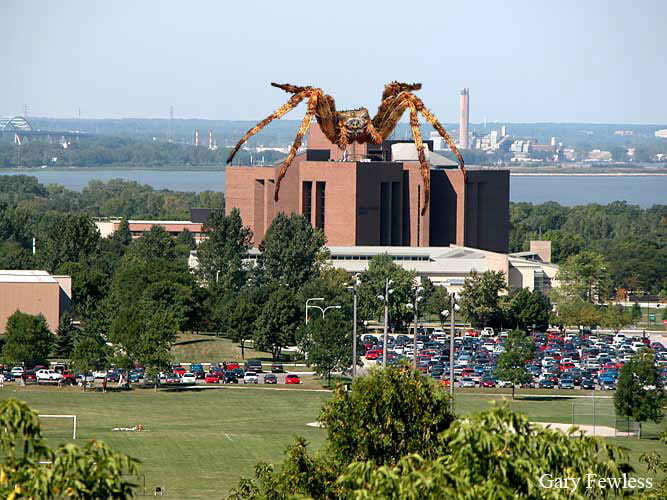 So imagine our surprise when UW—Green Bay botanist and instructor Gary Fewless snapped this photo of an extremely large spider on the UW—Green Bay campus. 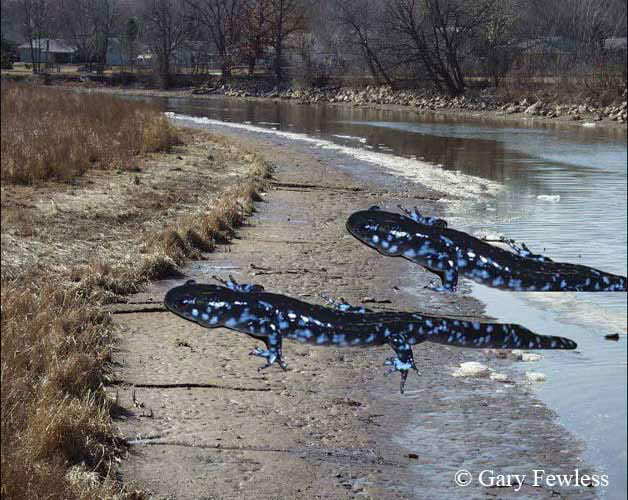 Gigantic Salamanders feed along the shore of the Fox River. 2012 is the worst year on record for West Nile Virus (WNV) in the United States since the disease first appeared in New York in 1999. 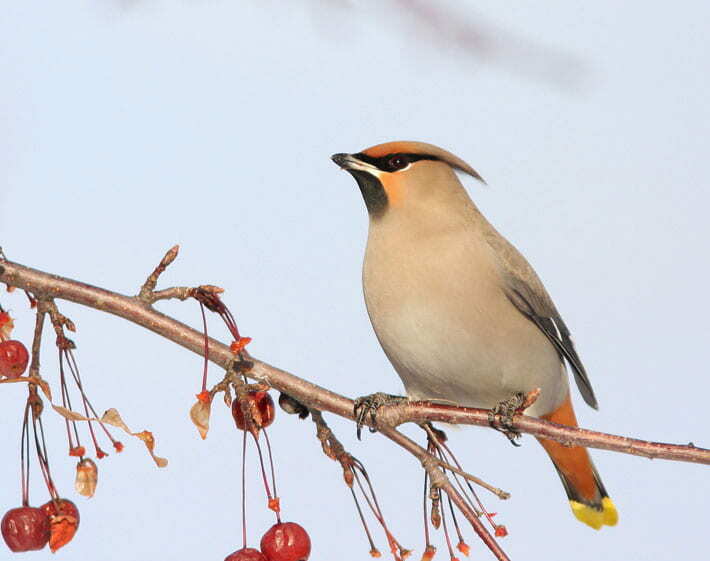 Forty-seven states, including all states in the Western Great Lakes have reported cases of both infected birds and humans and all 50 states have reported infected birds. West Nile Virus is transmitted by the bite of a mosquito. While several species of mosquitoes can harbor the disease, the most common species we are likely to encounter in urban and suburban areas is Culex pipiens, the northern house mosquito. Culex and the other suburban mosquitoes prefer to breed in small containers or stagnant water with lots of organic debris like animal droppings or decaying leaves. 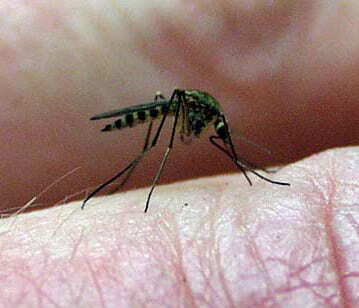 The disease is transferred when a mosquito bites an infected bird. That mosquito can then pass the virus on by feeding on other birds, or susceptible mammals including humans. 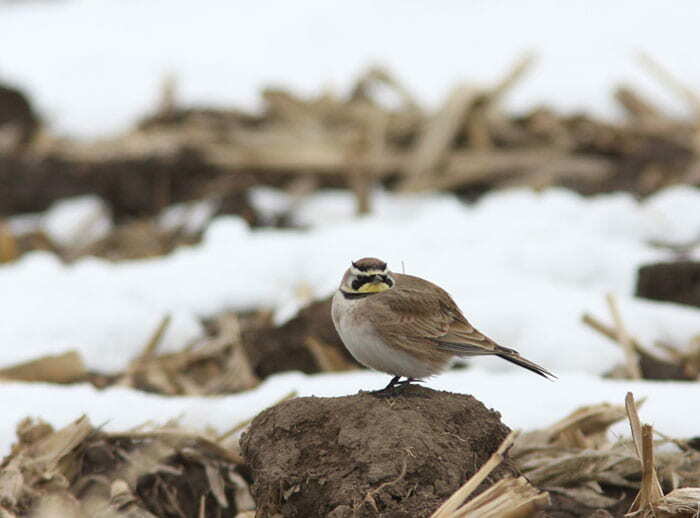 Unfortunately, the disease can heavily impact bird populations. Crows are particularly sensitive to WNV and populations in North America declined by as much as 45% after the WNV epidemic in 2002. Robin populations were increasing in the 1990s, but have leveled off since the introduction of WNV. Increased biodiversity provides an advantage against infection. Scientists have shown that areas with more bird species tend to have fewer mosquitoes carrying WNV and fewer cases of human infections (Ezenwa et al., 2006; Swaddle and Carlos, 2008). Researchers believe the effect is related to the susceptibility of different bird species to the virus. Some birds like American robins are known to be good hosts and are better at spreading the disease because mosquitoes seem to like to feed on them and they are better carriers than some other species. According to Tony Goldberg, an epidemiologist at UW—Madison, robins are good hosts and can act as “super-spreaders” of the disease. In areas with lots of robins and few other bird species there are higher total number of human infections. But not all bird species are good hosts for the disease so it is thought that higher bird diversity reduces infection rates because mosquitoes are less likely to encounter a good host and therefore less likely to become infected and transmit the disease. The presence of birds that are poor hosts reduces or “dilutes” transmission rates of the disease between birds and also to humans. Similar results have been shown for other animal vectored diseases like Lyme and Hantavirus (Keesing et al. 2010). 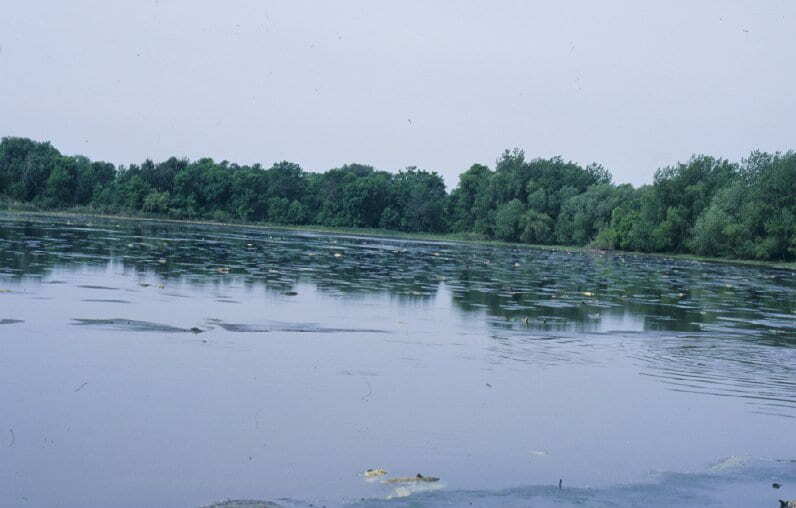 Large ponds and healthy wetlands contain fish and invertebrate predators like dragonfly larvae that feed on mosquito larvae that naturally keep mosquito populations in check. The problem mosquitoes are those that prefer to breed in stagnant water like puddles, tree-holes, and other small containers. Make sure you are not inadvertently providing mosquito breeding containers. Be sure to make sure your gutters are not clogged and that old tires or children’s toys or other containers cannot hold water. Empty containers of water such as bird baths, kiddie pools, plant trays, twice each week. Consider using mosquito dunks that contain Bt in yard water features that are too large to empty each week. The dunks contain the bacteria Bacillus thuringiensis Israliensis, which produces a toxin that kills mosquito larvae, but is non-toxic to other wildlife. Fans can be effective at deterring mosquitoes in a small area such as on a deck or a patio area. Mosquitoes are weak flyers and fans will keep them at bay. Fans also blow away exhaled carbon dioxide that attracts mosquitoes. 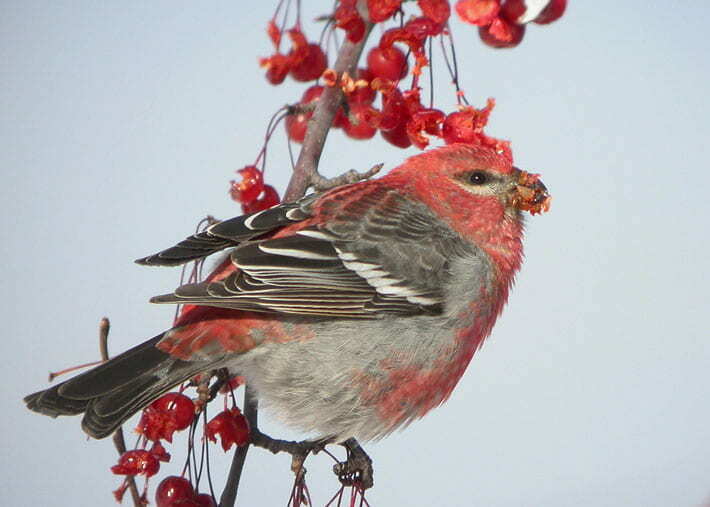 There is no reason to stop feeding or watering birds because the disease can only be transmitted by the bite of a mosquito. The disease cannot be transmitted from bird to bird, from birds to people or from people to people. Provide a variety of feeders and feeds that attract different species. 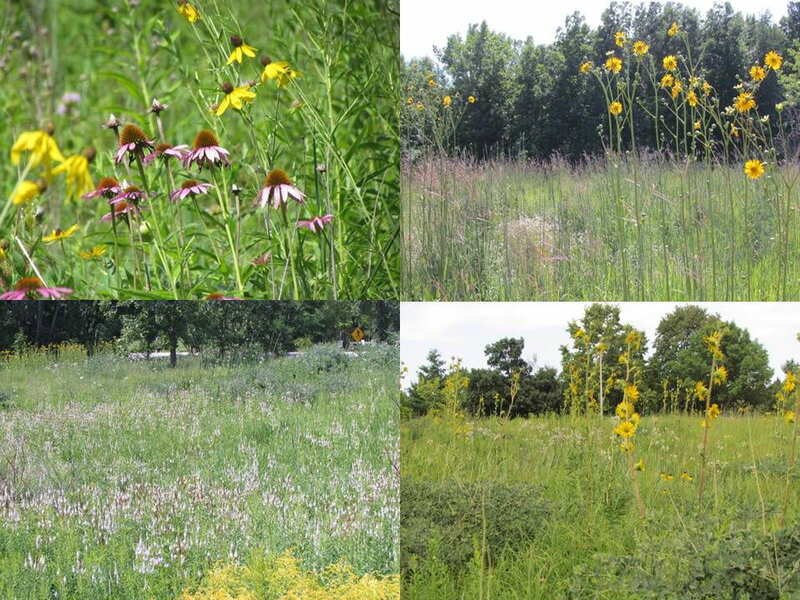 Create as much quality habitat as possible. Include vegetation, shrubs, and trees that provide forage and cover from predators. 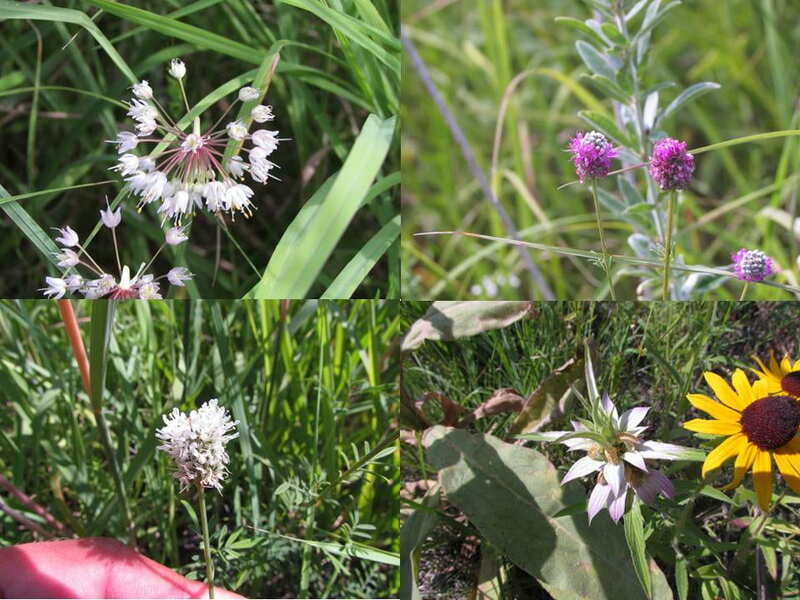 Try to match natural habitats by planting vegetation that includes a diversity of plants and plant types. Provide bathing and watering areas, but be sure to keep them mosquito free. 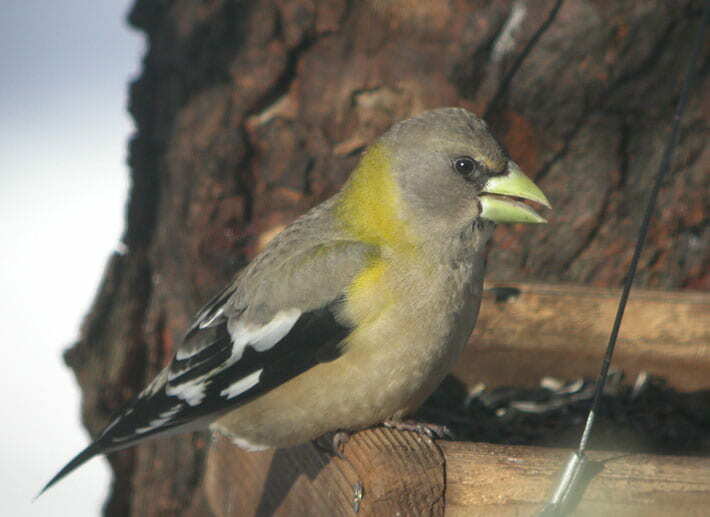 Keep your feeders and feeding areas clean to prevent the transmission of bird diseases. There are no known cases of West Nile transmission between birds in nature, but stressed, injured, or birds sick with other diseases will be more susceptible to West Nile infection from mosquitoes. Ezenwa, V.O. et al. 2005. Avian diversity and West Nile virus: testing associations between biodiversity and infectious disease risk. Proceedings of the Royal Academy: Biological Sciences 273:109-117.